To understand how an Oracle Database functions, it is important to gain a basic understanding of its major components. This course identifies the major architectural components of the Oracle Database 11g Release 2, explains memory structures, describes background processes, and explores the logical and physical storage structures. In addition, this course describes the role of a database administrator (DBA) and the tasks and tools required for this role. This course also covers how to plan for the Oracle Grid Infrastructure and Oracle Database 11g software installations, as well as how to do the installation using the Oracle Universal Installer. This course is one of a series in the SkillSoft learning path that covers the objectives for the Oracle Database 11g: Administration I (1Z0-052) exam. Passing this exam will earn the learner Oracle Certified Associated (OCA). As an Oracle Database administrator, it is important to plan the database to ensure that the database software is installed properly. Planning involves the logical storage structure, the overall design, and a backup strategy. It is also important to manage the database instance after the installation to ensure that it runs properly, and is started and shut down correctly to avoid problems. This course describes the DBA tasks to plan a database installation and how to use the Database Configuration Assistant (DBCA) to install the Oracle Database 11g software. It demonstrates how to manage the instance, including setting initialization parameters, accessing the database and Enterprise Manager, viewing information about the instance, startup and shutdown stages, and viewing the alert log to ensure that there are no issues with the instance. This course also demonstrates how to use Oracle Restart to manage components. This course is one of a series in the SkillSoft learning path that covers the objectives for the Oracle Database 11g: Administration I (1Z0-052) exam. Passing this exam will earn the learner Oracle Certified Associated (OCA). Oracle Database 11g Release 2 offers Automatic Storage Management (ASM), which eliminates the need for many tasks that are required on a non-ASM storage environment by the DBA. Some of these tasks include I/O performance tuning, file system, cluster file system, and raw device management, and data file movements and reorganizations. When ASM is used, an ASM instance is also used. The ASM instance allocates memory and uses the SGA differently than in a database instance. This course describes the ASM instance and how it works, and demonstrates how to manage it with various utilities. It discusses the ASM disk groups and how to create, extend, and drop them. This course also identifies how to configure the Oracle network environment which includes configuring and controlling the listeners that allow database connections, creating Oracle Net Service aliases, and the tools for configuring and managing the Oracle network, naming conventions, and shared server usage. This course is one of a series in the SkillSoft learning path that covers the objectives for the Oracle Database 11g: Administration I (1Z0-052) exam. Passing this exam will earn the learner Oracle Certified Associated (OCA). An Oracle database is divided into logical storage units called tablespaces. Oracle also provides Oracle-Managed Files (OMF), which eliminate the need for the DBA to directly manage the operating system files in the Oracle database. To access the database, a user must specify a valid database user account and successfully authenticate as required by that user account. What the user can execute once they are logged in is controlled by privileges granted to them, which can be system or object. Privileges can be better controlled by using roles and profiles, which control resource consumption and account status and passwords.This course describes the purpose and functions of tablespaces, and provides details on how to create and manage database user accounts. It also discusses creating privileges, roles, and profiles, as well as using the password file and assigning quotas to users. This course is one of a series in the SkillSoft learning path that covers the objectives for the Oracle Database 11g: Administration I (1Z0-052) exam. Passing this exam will earn the learner Oracle Certified Associated (OCA). Oracle Database 11g Release 2 is designed to prevent multiple users from changing the same data at the same time by implementing locks. These locks are used to manage data concurrency and are implemented automatically, which can sometimes cause lock conflicts. Lock conflicts can be detected and managed through Enterprise Manager or SQL statements. Managing undo data and implementing Oracle Database security are also important DBA roles. Data is manipulated using DML, and undo data exists as a copy of the original, premodified data and is captured for every transaction that changes data. 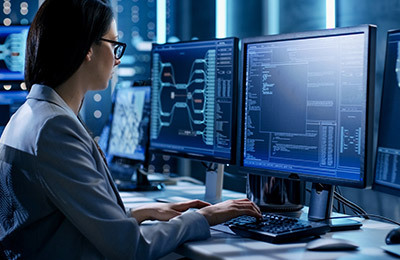 Security requirements have been a matter of individual concern until recently, but now there are a variety of laws enforcing the privacy and accuracy of data. This course discusses the locking mechanism in Oracle and how to resolve lock conflicts and deadlocks. It also discusses how to manage undo data, and how to implement database auditing and maintain the audit trail. This course is one of a series in the SkillSoft learning path that covers the objectives for the Oracle Database 11g: Administration I (1Z0-052) exam. Passing this exam will earn the learner Oracle Certified Associated (OCA). Preparing for and performing data recovery and completing database backups are expected job duties of an Oracle Database 11g Database Administrator (DBA) to ensure that the database is available for users when they require it. They also need to ensure if a failure does occur that the loss of data is minimized as much as possible and they can recover the database in an efficient manner. As an Oracle DBA, it is important to understand the various internal consistency checks a database performs as it moves from the shutdown stage to being fully open. Equally important is an understanding of what can cause a failure, and how to recover from an instance failure. This course explores how to identify the types of failure that can occur in an Oracle database and how to prepare a database for failure recovery by using checkpoints, log files, and the flash recovery area and ARCHIVELOG mode, as well as how to perform different types of backups. It also discusses the need for performing recovery and the use of tools such as the Recovery Manager (RMAN) and the Data Recovery Advisor for file recovery operations. This course is one of a series in the SkillSoft learning path that covers the objectives for the Oracle Database 11g: Administration I (1Z0-052) exam. Passing this exam will earn the learner Oracle Certified Associated (OCA). From time to time Oracle DBAs are required to move data. Oracle Database 11g Release 2 offers various ways to complete this task, including Oracle Data Pump, SQL*Loader, and the use of external tables. DBAs are also required to ensure that the database is up-to-date with the latest patches and that critical errors are resolved, which includes contacting Oracle for support. This course explores how to move data using Data Pump Wizards or the command line. Working with the Enterprise Manager Support Workbench, My Oracle Support, service requests, and patch management are also covered. This course is one of a series in the SkillSoft learning path that covers the objectives for the Oracle Database 11g: Administration I (1Z0-052) exam. Passing this exam will earn the learner Oracle Certified Associated (OCA).